There are general passport requirements and then there are those that are specific to each particular type of service. The general requirements are listed below with a brief description for each. Choose the type of service you need from the menu in the left column for more specific instructions. 1. You must be a U.S. citizen or non-citizen national. 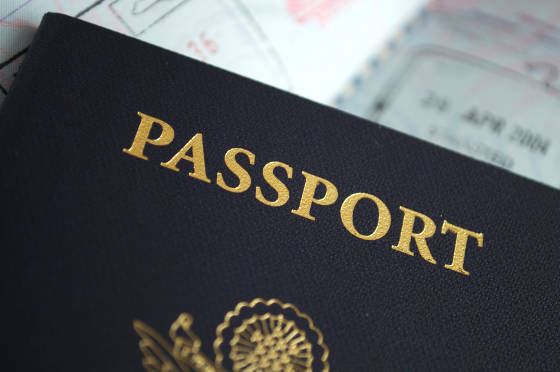 Passports are only issued to applicants who possess U.S. citizenship or are non-citizen nationals. Frequently, we receive emails from green card holders wanting to know how they can apply for a U.S. passport. This is not possible unless they go through the process of becoming naturalized citizens of the United States first. U.S. citizenship must be proved in order to get a United States passport unless the person is a non-citizen national. What is a non-citizen national? Not a surprising question given the fact that non-citizen nationals are rare. Section 308 Immigration and Nationality Act confers U.S. nationality but not U.S. citizenship on persons born in or having ties with "an outlying possession of the United States." The outlying possessions are defined as American Samoa and Swains Island. Also, children born abroad to two non-citizen nationals or to one alien parent and one non-citizen national parent are eligible for non-citizen national status. This is so rare that the State Department does not even issue a certificate for it. Non-citizen nationals are delineated as such in their passports. 2. Complete the appropriate application form. 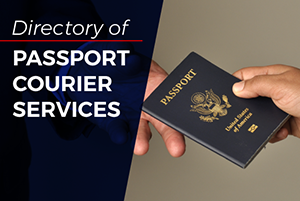 Each service requires the completion of a specific passport application form. It is important that the appropriate form be filled out as completely as possible. Failure to answer any questions may result in a delay. Even so, an applicant should never knowingly include incorrect information. Instructions are included with each form to help with the process. The applications are short and usually only require a few minutes to complete. The use of black ink is required when completing the printed form. 3. Submit required supporting documents. Just as each service requires a specific application form, specific supporting documents are also required for each. Documents that are most frequently requested include evidence of United States citizenship, proof of identification, photocopy of ID, a passport photo, name change document, evidence of relationship between parent and child and any number of other documents that the Department of State deems necessary. You will be notified by mail if additional documents are required. Instructions for each passport service include a list of primary and secondary documents that are acceptable. Careful attention to the specifications of each document is vital if you want to avoid delays in the process. 4. Pay the passport fees. There are both required and optional passport fees. The number and amount of the fees depend on the type of passport service you are requesting and how quickly you need to get your travel document. Possible payment options include personal check, cashier's check, money order, cash or credit card depending on the location where you are applying. These general passport requirements are just an introduction to what is necessary in order to obtain a US passport. For a list of specific requirements, visit the web page for the service that you need by selecting from the options in the menu to the left. 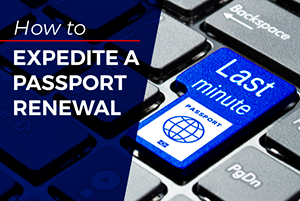 Expect to receive your new or renewed passport in 4 to 6 weeks. 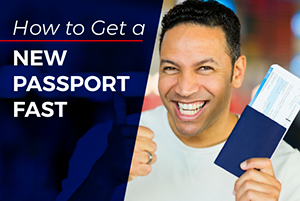 Applicants can accelerate the process to get a passport in 2-3 weeks by requesting expedited service. The fastest way to get a passport is to apply at a regional agency where processing is done in 8 business days to as quickly as the same day. Those who are unable to visit one of the processing centers can authorize a third party to hand carry the application. List of primary U.S. citizenship documents and secondary evidence of U.S. citizenship. Documents which serve as evidence of personal identification. Documentation which is acceptable as evidence of a legal name change. Acceptable documents that can be submitted as evidence of relationship of child and parent/guardian.